An article was posted on Pagan Wiccan About with the title Ten Things to Stop Doing if You’re Pagan. Its argument was that many Pagan traditions follow a guideline that includes the idea of keeping silent. Yet it complains that pagans use this as an excuse not to speaking out when injustice is done. Firstly there is a problem here. The statement evokes the statement “pagans are a minority” while this is true, it is creating the climate of the ghetto. It is saying “we are this… they are something else” we need to stick together for protection from a big bad. Ghetto mentality though creates inbreeding of ideas and isolation from the rest of society. It is self-marginalising because it takes the religion away from the rest of the world where they remain misunderstood It is better that any new religion sees itself as part of the world working within it than against it. But there is another problem. 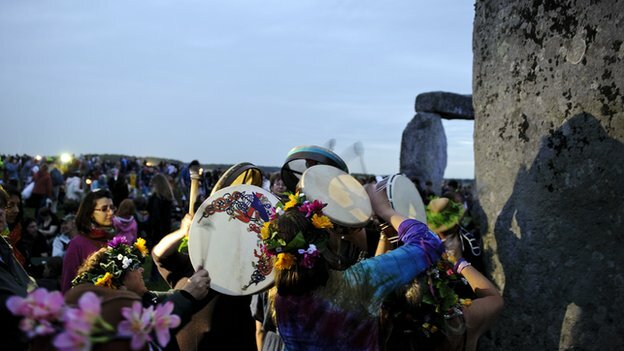 Paganism, however it is defined, is not an automatic banner for political activity. That is not to say that Pagans should not be political, quite the opposite. But tying politics to beliefs is exactly the mistake which has blighted religions for millennia. You end up with Crusades, Fatwas and Wars of Religion. One of the few things I agree about in the American Revolution was that it separated Church from State. Political activism enshrined in religious beliefs puts it right back there creating a Taliban mentality. It is one thing to say my religion focuses on nature and ecology; it is another to say “my god tells me to stick poisons in supermarket meat.” It is good to say “my religion emphasises the importance of animal life” it is another to say “my religion orders me to blow up scientists who experiment on beagles.” Religion might inspire political activity but it should never direct it. You can argue that the first is theoretical and does not mean anything, while the other is active and brings about change, but at the end of the day one is political and the other is not. Such a concept rapidly becomes silly. For example the KKK is a minority group, does that mean that pagans should ally with them? Is it a good idea for your wiccan circle to join in activities with the local Raelian Church, Scientologists, Heaven’s Gate, or the Unification Church just because they are minorities too? The article probably means “other minority groups”, but who decides which minority groups pagans are supposed to ally with? It is better that paganism provides the inspiration for change. Pagans join what political causes they like as the mood, or convictions take them. Then when the reporter comes to interview them after they have their victory they can get an interesting story about how the connection to their god or goddess moved them to make this change in society. Neo-paganism should be different from other religions and should not repeat their mistakes, or try to be similar. It also should be applying 21st century thinking rather than the age old “us and them” rubbish. What sort of stereotypical hermetic student are you?